Working in a happy school is one of my favorite topics. I love activities that build school climate, improve morale, and make schools feel like a family. If you are going to spend so many hours at a place, shouldn’t it be a happy place? I realize time is a limited commodity. 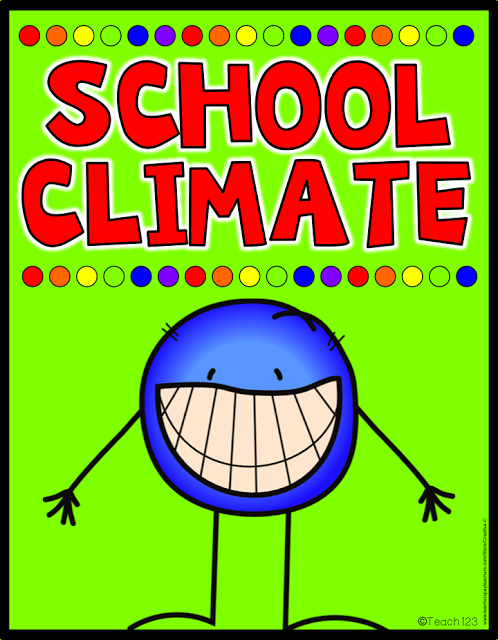 So, I thought it might be helpful if each time I wrote a post that helped make schools happier, I would add it to the collection on this page. You can bookmark or pin this page. Check back from time to time to see if there are any new posts that you might have missed. 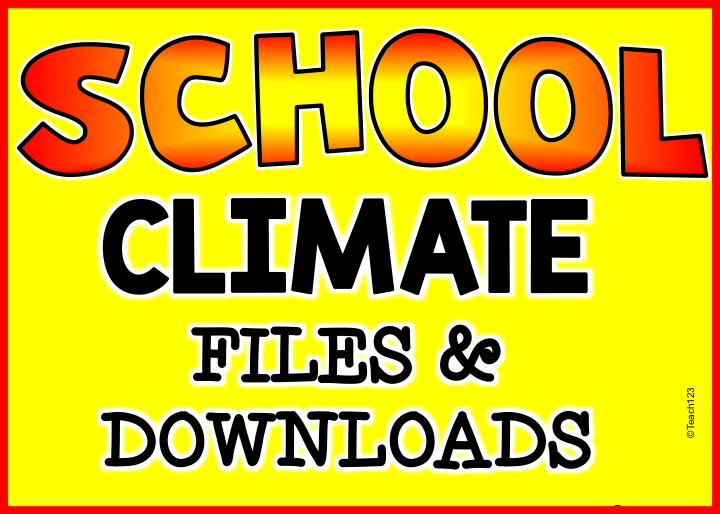 If I add a file to my store that would help your school, I will add a link here, too. 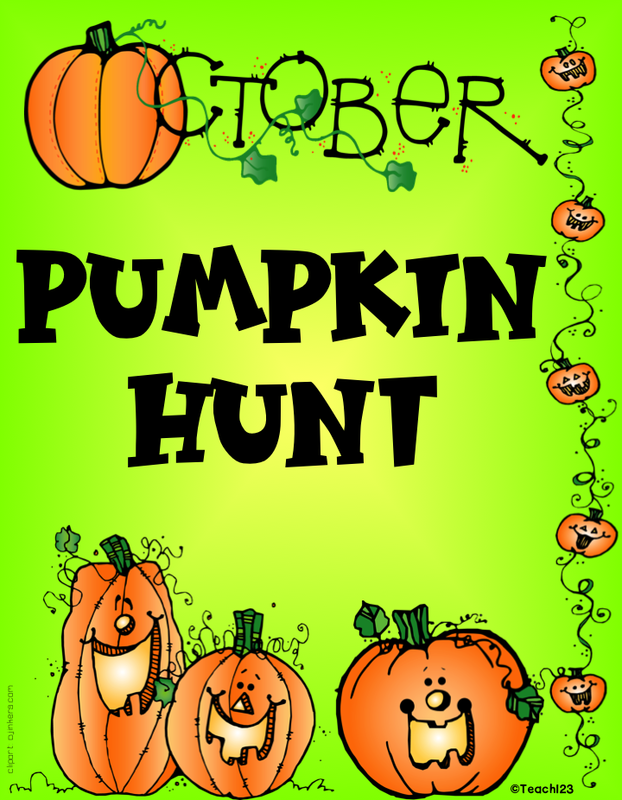 A pumpkin hunt is a fun activity for October. 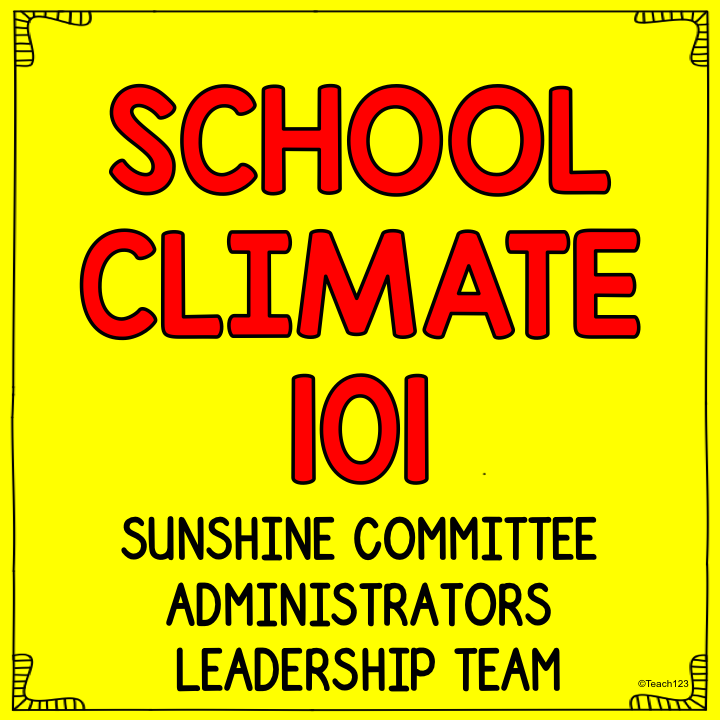 Administrators, team leaders, or Sunshine Committees can organize this activity. 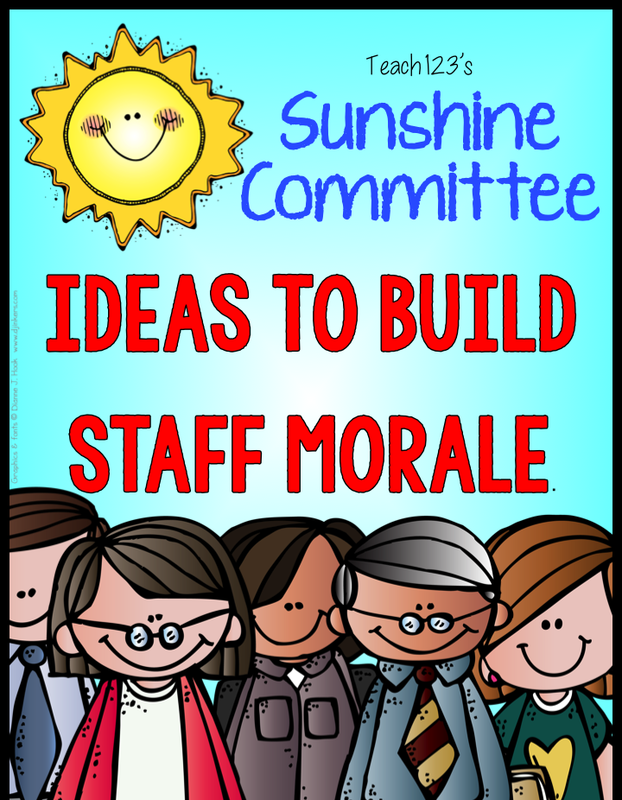 This post is full of ideas for the Sunshine Committees and administrators. Includes a link to paid packet that is EDITABLE in Powerpoint for signs and signup for luncheons and other activities. There are a variety of community building activities. Plus freebie in the preview file. Is the staff morale low at your school low this year? How about a morale booster that is free and fun? 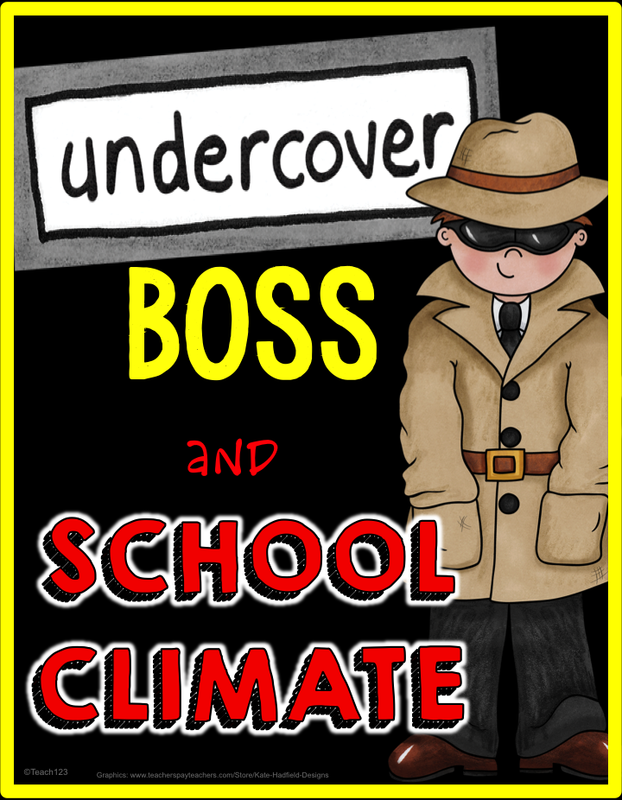 It is time for Undercover Boss – School Style. I was a guest on Laura Candler’s Corkboard Connection blog. Visit Laura’s blog to read this post. 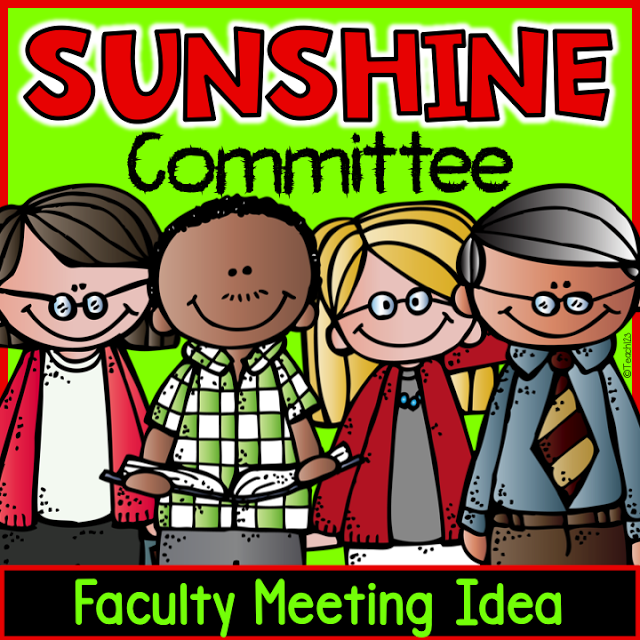 Do you often have staff members who are tardy to the faculty meetings? If so, you need to read this post. Do you have a staff full of football fans? 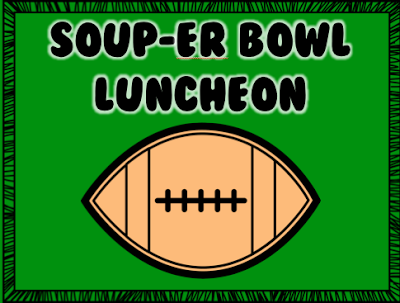 You may need to plan a Soup-er Bowl luncheon. Freebies are included with this post. Have your heard the news? 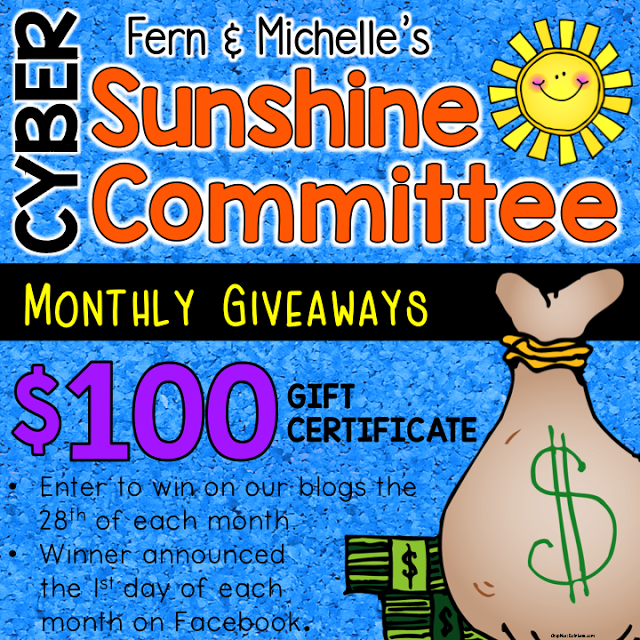 My friend Fern and I are organizing monthly giveaways. We will giveaway $100 gift cards Oct. 1st – May 1st, 2015. The entry begins the 28th of each month. 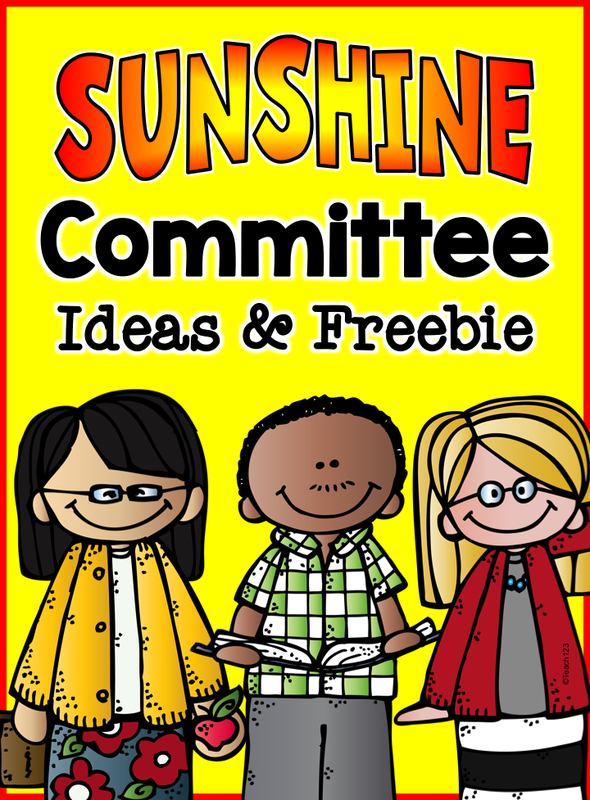 Ideas and freebies for showing support and building community. Perfect for the Sunshine Committee. Fun fall ideas plus free printables are included with this post, too. Don’t forget to check back from time to time to see if I have added more posts to the collection.